The Giant Factory Off-Road team expands for 2019. Check out their full roster and more inside. GIANT FACTORY OFF-ROAD TEAM EXPANDS WITH NEW RIDERS and NEW SPONSORS FOR 2019 With a strong mix of veterans and new faces, plus key new equipment sponsors, the team targets enduro, downhill, XC and gravel races around the world One of the longest running professional teams in off-road bike racing continues to grow and evolve in 2019. This year the Giant Factory Off-Road Team includes 15 riders from six different nations competing in every discipline from downhill to enduro to cross-country and gravel. The 2019 roster has three national champions and a strong mix of veterans and young talent. The team also welcomes some key new equipment sponsors as it continues its mission to develop cutting-edge race bikes and technologies. The biggest changes for 2019 are the return of FOX suspension products including forks and rear shocks, plus new XC and gravel kits from apparel sponsor Cuore. This year’s Giant Factory Off-Road Team is divided into two tiers: six global riders, and nine regional North American riders. The global squad is focused on major international events including UCI World Cup downhill and cross-country races as well as Enduro World Series events. 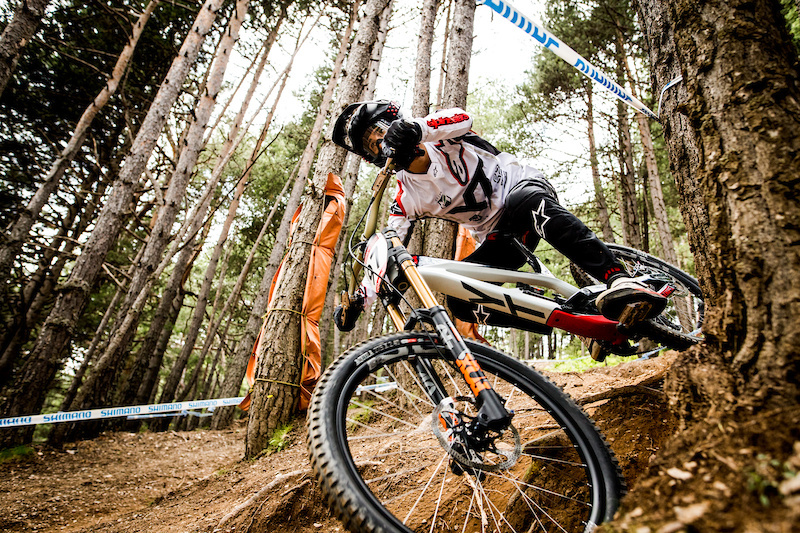 DH and Enduro riders Eight-time Colombian downhill national champion Marcelo Gutierrez leads the World Cup DH squad. Gutierrez is joined by another national champion, Jacob Dickson of Ireland. These two DH riders will focus on World Cups and other major events on their Glory Advanced race bikes. “This year is looking really good,” said Gutierrez, who is already off to a strong start with wins at two major urban DH events in Colombia, the Manizales Urban DH in January and the Devotos de Monserrate in February. “I feel really stoked about the suspension setup and I’ve made a few key changes like having a new trainer and sports psychologist. This year is probably the best I’ve ever felt physically and I’m extremely comfortable on my new downhill bike.” The 21-year-old Dickson was derailed with an early-season injury last year, but he still managed to score his second consecutive elite men’s DH national championship in Ireland and a couple top-10 finishes at Crankworx Whistler events in Canada. “I’m really looking forward to the 2019 season,” Dickson said. 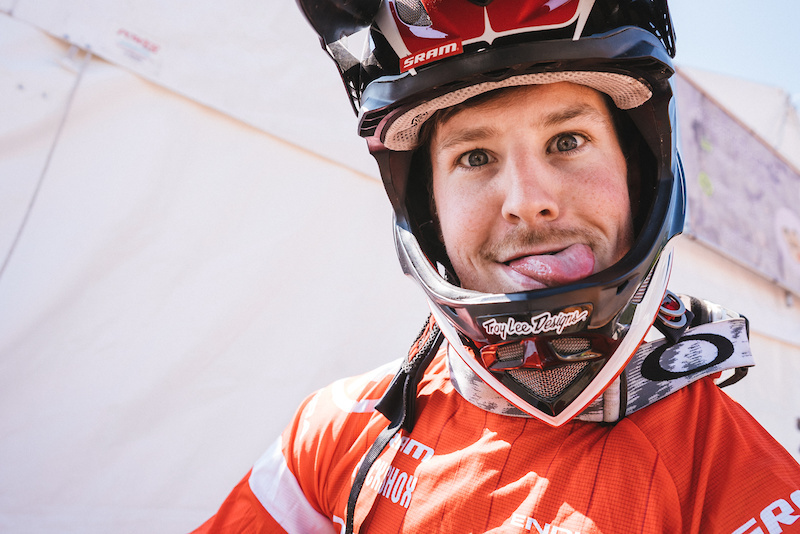 “My goals are to be consistently in the top-20 for every World Cup and to enjoy every race.” American Eliot Jackson rounds out the DH squad for 2019. The California-based pro will focus on Crankworx and North American events along with some key World Cup races. 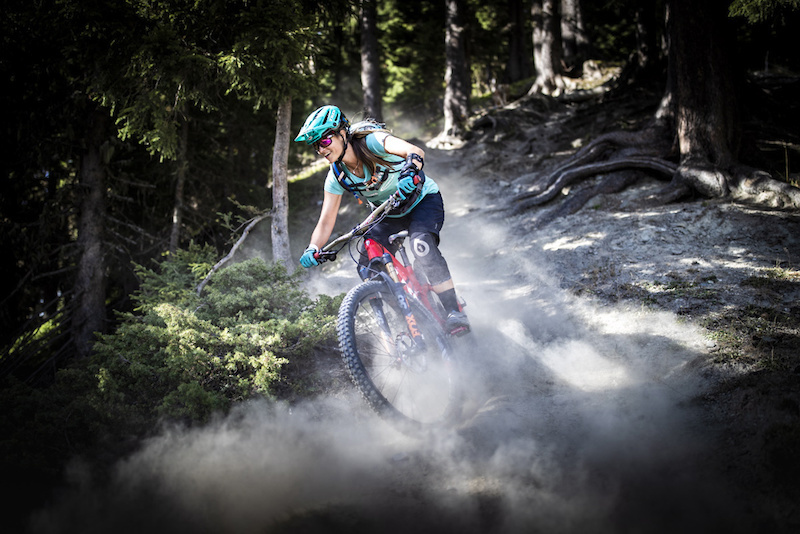 The enduro crew gets a boost this year with the signing of Youn Deniaud, a top young talent from France who finished 10th overall in the Enduro World Series last year. 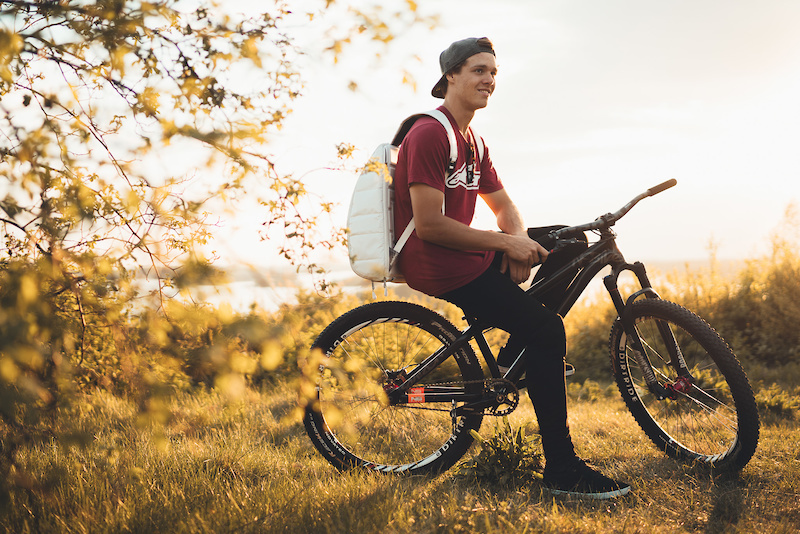 Racing as a privateer, the 22-year-old scored several top-10 finishes in his first year on the EWS, earning the “EWS Breakthrough of the Year” award in the world’s premier enduro series. “After my first season racing the Enduro World Series as a privateer, being a part of the Giant team is just awesome,” Deniaud said. “I have the best partners now, and this is a big step for me. I had a great winter training season and I’m ready to race on my new Giant bikes this year.” The enduro squad also sees the return of some familiar faces. Australian Josh Carlson joins Deniaud on the full EWS circuit, while Canadian Mckay Vezina will race a mix of EWS and North American events. Both had to battle through some injuries this in 2018 and are looking forward to a clean slate this year. All the enduro racers will be racing their Reign Advanced bikes with new FOX suspension setups, plus the shorter travel Trance Advanced Pro 29 for select events. The enduro team will also be developing and testing next-generation bikes and gear throughout the season. XC and gravel riders This year also sees an expansion of the team’s XC and endurance squad, led by up-and-coming talents Cameron Wright from Australia and Cole Paton from the U.S. Both will focus on World Cups and other major XC events around the world. 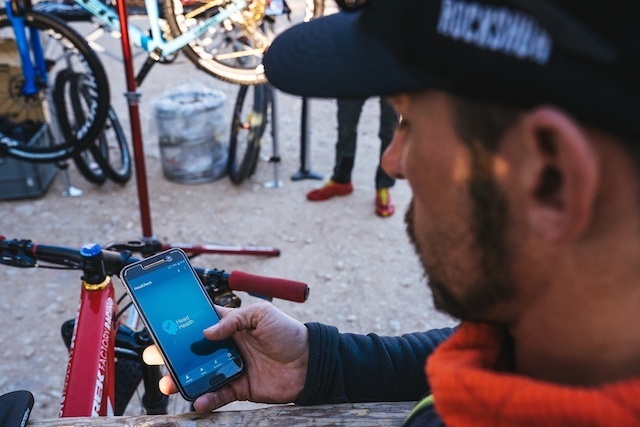 They will compete primarily on their XtC Advanced 29 hardtails and Anthem Advanced Pro 29 full-suspension XC bikes, while also helping to develop and test new, next-generation XC race bikes and gear. Wright emerged as one of the sport’s top young talents when he won the XC world championship as a junior in 2017. Last year he swept the Australian national series, winning all six events in the junior category plus the Australian national championship and the Oceania Championship. This year, Wright, who turns 19 in March, steps up the Under-23 category. “The upcoming season is a big one for me as a first year U23 rider,” Wright said. “It’s definitely going to be challenging with my first World Cup season. The goal is to give it my all and be in the top-10. I’m on a new Giant bike with great suspension and the new Shimano XTR group, and really looking forward to representing the team.” Joining Wright in U23 XC action is 21-year-old Paton. The Colorado resident had several podium finishes at North American races last year, and is looking forward to competing at the international level. In addition to the two global XC riders, this year’s team sees an expanded crew of endurance athletes focused on the growing XC marathon and gravel racing scene in North America. Those riders include veteran Carl Decker, who last year captured the Lost Sierra Triple Crown series on the West Coast. Joining Decker on the regional squad are fellow American riders Stephan Davoust, Ryan Steers, Tristan Uhl and Tyler Weyman. In addition, former U.S. road pro Josh Berry, who last year made the switch to gravel racing and scored podium finishes at major events including Dirty Kanza, Gravel Worlds and Grinduro while riding Giant bikes, will be part of the team for select races in 2019. Each of these riders will have a collection of Giant off-road bikes to suit their racing needs including the Revolt Advanced gravel racing bike, which was released midway through the 2018 season. On the technical front, the team welcomes back most of its sponsors from 2018 along with several key new partners for 2019, including FOX suspension products. Team riders will use Shimano drivetrain and brake components, and PRO/Shimano cockpit components. Additional components and gear include Giant WheelSystems, saddles and dropper seatposts, plus the Giant NeosTrack GPS computer. On the apparel side, the team will once again partner with 100% for DH and enduro race kits, eyewear and full-face DH helmets. XC and gravel kits are produced by new partner Cuore, and Giant supplies helmets including the Rail SX, Rev and Pursuit models for XC and gravel, plus footwear including the Charge XC shoe, Line trail/ enduro shoe and the Shuttle DH shoe. You can follow the Giant Factory Off-Road Team all season long at facebook.com/giantfactoryteam. Here is a list of Giant Factory Off-Road Team sponsors for 2019: Suspension forks/shocks: FOX Wheels: Giant Tires: Maxxis Pedals: HT Drivetrain & Brakes: Shimano Bar/Stem: PRO/Shimano Saddle: Giant Seatpost: PRO/Shimano & Giant dropper Cycling shoes: Giant DH/Enduro apparel: 100% XC/gravel apparel: Cuore Cycling Eyewear: 100% Helmet: Giant & 100% (enduro and full-face) Gloves: 100% Grips: ODI Computer: Giant NeosTrack GPS Chain guides: MRP Other: Honey Stinger nutrition, Park Tool, Finish Line lube and cleaning products, Thule racks, Jaybird headphones, GoPro cameras, Stan’s tire sealant About Giant: Giant is the world’s leading brand of high quality bicycles and cycling gear. Since 1972, Giant has combined craftsmanship, technology and innovative design to create the ultimate cycling experience for all riders, casual to competitive. Through its products, people and retail partners, Giant inspires passion for cycling all around the world. For more information, go to giant-bicycles.com. Way back in 2001 the Segway was announced by inventor Dean Kamen. A technological offshoot of his iBot—a six-wheeled, robotic wheelchair that could ascend stairs and stand a person upright—it was hyped by many thought leaders at the time as the device that would change the way cities were built. He built it, but no one came. Nobody wanted to spend $6000 to look dorky riding down the beach path (save for a few tourists who rent them) or street. A few businesses started up with rentals, and the U.S. Post Office originally ran a pilot program with them for letter carriers, but that was it. Kamen ultimately sold the business, long before the term “last-mile mobility” had been coined. Then along came the hoverboard. It looked promising, as kids adopted them quickly, then even septuagenarians started using them. They were easy to master and relatively safe to ride. As prices dropped, so did the quality of the 18650 lithium-ion cells that were used to make them. With sketchy batteries and wiring that was surely not up to code, many of them spontaneously burst into flames. They were banned in 2016 by the U.S. International Trade Commission, ironically not for the fire hazard, but for the infringement of patents owned by, you guessed it, Segway. BIRTH OF THE BIRD Travis Vanderzanden, an entrepreneur who had once worked at Lyft as COO after Lyft acquired his startup on-demand car-wash service, then worked as a senior executive for Uber. He then moved his family to Santa Monica, California, to start his scooter-share business, Bird. The pilot program put out hundreds of the scooters overnight, shocking and surprising the community. Neighborhood app Nextdoor lit up with complaints and praise in equal numbers as people discussed the launch with polarized responses. About 50 percent were re pro-scooter and 50 were against. Here’s a perfect example of everything being wrong. This rider has no helmet and is riding on the sidewalk. There’s no law against wearing flip-flops on scooters, but that’s a safety hazard. &nbsp; There are rules and laws that cover electric scooters. Riders have to be at least 18 with a valid driver’s license, wear a helmet while riding, and ride in the bike lane on the street. Bird has actually shipped riders over 50,000 free helmets to help comply with this. Helmets are technically the law for electric scooters, at least in California. The trouble is that the scooters are convenient, but not everyone carries a helmet everywhere they go, just in case they might take a scooter. Enforcement is another issue, as law enforcement has to be trained to know what to look for, such as underage riders, no helmets, more than one rider on a scooter, etc. There have been complaints about riders on sidewalks especially, as unskilled riders with scooters that can travel at up to 15 mph careen through pedestrian traffic on the edge of their abilities, creating hazardous conditions and many injuries. Bird has already expanded to Atlanta, Georgia; Austin, Texas; Charlotte, North Carolina; Denver, Colorado; Nashville, Tennessee, Los Angeles, San Jose, San Francisco and San Diego, California; Miami, Florida, Scottsdale and Tempe Arizona; and Washington, D.C. Other companies have followed suit, including bike-share company Lime and Uber-owned Jump Bikes, expanding into many of the same markets. COST TO RIDE Bird and Lime both use a similar model. Riders use the brand’s app to scan a QR code on the scooter, and it charges $1 for each ride, plus $.15 per minute. An account is linked to the app to directly deduct the cost of the ride when it’s over, similar to ride-sharing services like Uber and Lyft. To go a mile, the cost of riding the scooter is less than half that of a ride-share service. This is why Uber and Lyft are both starting their own scooter-share businesses. &nbsp; Enforcing the laws is difficult, as many riders don’t respect the signs placed to keep electric scooters off of bike paths. &nbsp; CONTROVERSY Many cities have a bike-share program. Those bikes have docking stations, usually no more than a few blocks apart, making it easy to know where they are. Scooters are dockless, meaning you pick them up where they are and drop them off wherever you end up. Users find them via GPS on an app. In cities where they’ve been deployed, there are enough that they’re usually closer than a bike docking station. This can be convenient or annoying, depending on the last user. Riders need to learn to park them conveniently out of the way, not simply stopping in the middle of the sidewalk and leaving it there. Parking them near a curb or near a wall is the preferred method. There’s no enforcement, and locals sometimes shame users verbally or via social media into parking them nicely. There are some rules and laws that each company shares with new riders via their app, and in some places, companies team up to place advertising on buses and billboards to encourage riders to comply. Cities are scrambling to deal with this disruptive technology. Government is used to moving things along at a snail’s pace. Today’s technology is lightning-fast and accelerating. The scooter companies have been operating by the motto “It’s better to beg forgiveness than ask permission,” though they have been working with cities to develop sensible laws. “Our goal in supporting CA Assembly Bill No. 2989 continues to be providing riders of shared scooters and e-bikes with more consistent ridership rules so that people can more easily embrace sustainable, shared mobility options. We are pleased that the California State Senate shares this view and helped move this bill one step closer to becoming law. Still, Bird strongly encourages all riders to wear helmets and ride safely. This is why we provide helmet instructions on our vehicles and in-app—and why Bird has given away more than 50,000 free helmets to riders so far this year,” says David Estrada, Chief Legal Officer at Bird. 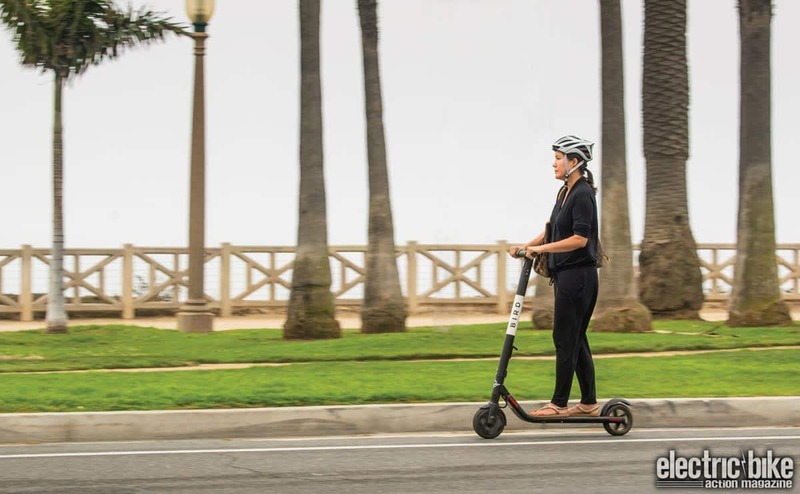 Santa Monica’s city council held a meeting almost entirely made up of discussion about scooters. The beach bike path, open to everything from pedestrians to bicycles to skates and skateboards, has been flooded with tourists and locals alike on the scooters. They’ve had 13 major injuries caused by scooters, almost entirely solo accidents. The scooters do take some skill to ride, and the slippery, sand-sprinkled concrete surface of the beach bike path can be a sketchy place for a powered scooter. There were 42 incidents between cars and scooters reported from January to August 2018. In that same period, there were 35 incidents between bikes and cars, and 50 between pedestrians and cars. The city pushes back against the scooters, but doesn’t want to ban them altogether, as they are both convenient and a good moneymaker for the city, who charges $20,000 per year per operator (e.g., Lime), plus $130 per device. If a company has a fleet of 1000 of these on the streets, that’s $150,000 straightaway, not to mention how many people will be using them to go more places and likely spend more money. 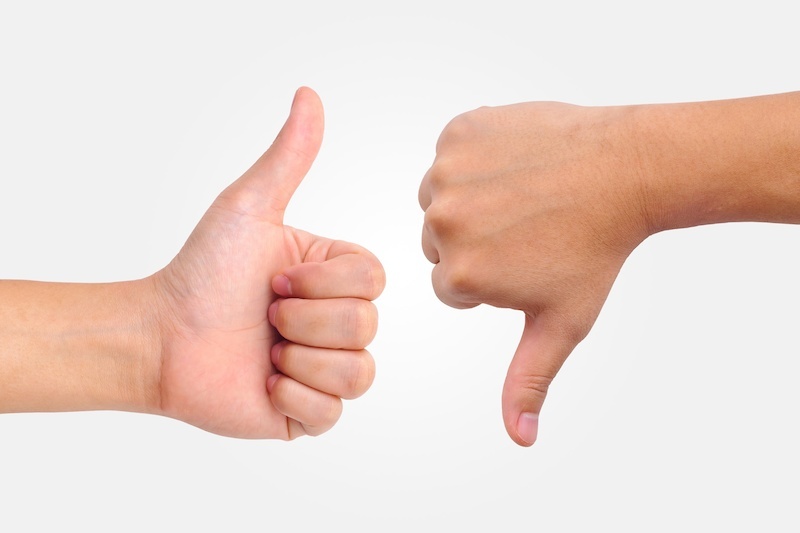 Backlash from some critics includes purposely damaging scooters or outright trashing them, with some even throwing them into the ocean, dumpsters, up into trees or worse. Social media has taken to them, like Instagram account @ScootersBehavingBadly who posts about the outrage and humor of “the dockless scooter invasion,” with videos of scooters on fire and riders not obeying laws. Every morning scooters are staged on or near street corners, fully charged and ready to go. GIG ECONOMY Bird and Lime have made it easy to be a charger; that is, a person who picks up scooters, charges them, then returns them to the streets. They make between $5 and $20 per scooter charged. It’s usually about $5 per scooter, and the higher numbers go to scooters that are harder to get to. A neighbor kid charges up to 20 per night. That’s $100 a day! We measured an average one he charged, and it used .13 kWh. In Los Angeles-area rates (average 18.2 cents per kWh), that’s 2.4 cents. So, for around 50 cents per night, he can charge 20 scooters. All he has to do is track them down and get them home. That can be done by car, fitting as many as possible in the trunk of his car or, like many, he can stack several on the deck of one that he’s riding home. That’s the tell-tale sign of a charger—a rider with a stack of other scooters cruising down the street. There are also opportunities for those who want to be mechanics. It simply requires some online training and a supply of parts. Lime uses only one particular scooter, so all parts are the same. Bird currently uses the Xiaomi Mi scooter mainly, but they use a couple of other brands, too, so mechanics need to have parts for all of them. THE FUTURE Cities, citizens, legislators and scooter startups are all scrambling to make sense of all of this. It’s here, it’s going to get bigger, and we have to adapt to them being here. Learning to ride and parking them carefully are key, probably no different than when cars first appeared in cities, though cars didn’t start with such huge numbers. Ideas like specific parking areas to corral them are being discussed, but no precedent has been set yet. Geo-fencing can be implemented to enforce this. The scooters are part of a larger number of mobility solutions that have already cut down traffic in areas where they are deployed, and the way they are charged and maintained offers opportunities for locals to make extra money and keeping the fleet up en masse. This technology, along with e-bikes and other potential transportation like autonomous ride-share cars, will eventually curb the need for people to own cars themselves. The future could see less garages, parking lots and more. Cities that rely on revenue generated by parking tickets will have to adapt, as lower car ownership combined with cars that know better than to park where they’ll get a ticket will cut heavily into that. That future may be here faster than we think. Scooter-share programs are only a year old and continue to expand as we write this article. There are growing pains, as with any disruptive technology, but it will deliver the promise that Segway made, just in a slightly different form. Contacts Bird: wwwbird.com Jump Bikes: www.jumpbikes.com Lime: www.li.me THERE ARE SO MANY WAYS TO GET ELECTRIC BIKE ACTION In print, from the Apple newsstand, or on your Android device, from Google. Available from the Apple Newsstand for reading on your iPad, iPhone or iPod Touch. Subscribe Here For more subscription information contact (800) 767-0345 Got something on your mind? Let us know at hi-torque.com The post The Scooter Revolution appeared first on Electric Bike Action.